HOUSTON - March 14, 2019 - PRLog -- Schools across America have been working hard to increase safety in the event of an active shooter for several years. On March 13, 2019, the Texas Senate announced $100 million in new funding for improving the security of our schools. According to the Texas School Safety Center, "Time barriers or measures taken beforehand to 'harden the structure' can be an invaluable asset to safety." Furthermore, the Center continued by saying, "the most powerful time barrier in an active assailant event is a locked classroom door." Historically, most classroom doors haven't had a lock on them, which is why teachers and students have resorted to shoving furniture against the doors to prevent intruders from entering. 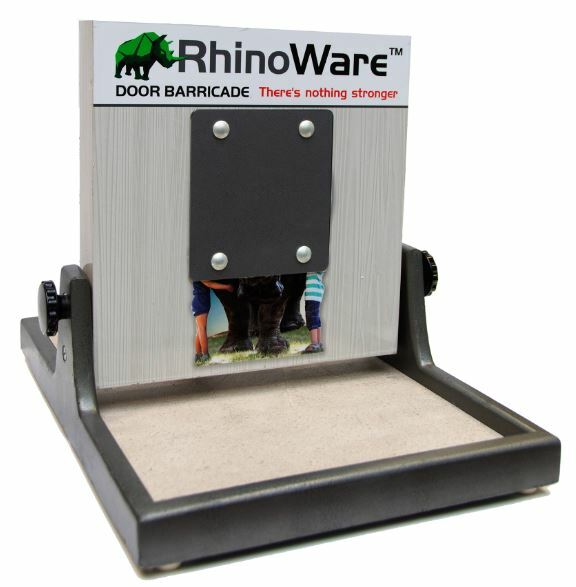 A better and best-in-class solution is for classroom doors to be secured by RhinoWare Connect®. This unique product's simple design allows even a 4-year-old to secure the door in under one second. As soon as the door lock is engaged, an alert is immediately sent to the school's administrators about the lockdown. The alert is a critical component because it also can notify law enforcement, even before anyone on campus has the ability to report the incident. The alert also shares the exact location of the first classroom in lockdown mode. The notification from RhinoWare Connect also protects students from bullies, who intend to physically harm others in a locked classroom. Since school officials are notified immediately when the door barricade is engaged, administrators can respond quickly to students needing help. Texas-based Premier Wireless is a nationwide distributor of RhinoWare Connect® and president Lea Bogle is passionate about bringing proven safety solutions to schools. For over 25 years, Premier Wireless, a Sprint Mobility Solutions Partner, has been delivering innovative solutions that enable safety and transformation through technology for schools, governmental agencies and businesses of all types. For more information, contact Security@PremierWirelessTx.com.